Smartphones, smartphones, smartphones - that is what is inevitably coming down the road. 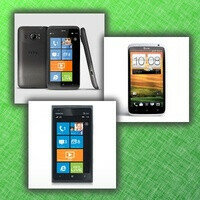 We have not only the whole HTC One lineup launching in Europe tomorrow, April 2, but also the HTC Titan II and Nokia Lumia 900, both powered by Windows Phone, launching on AT&T in only a week's time. But that is not all: Verizon might be getting the rumored HTC DROID Incredible 4G pretty soon, while Sprint is speculated to be getting a redesigned One X known as the HTC EVO ONE this June. Seems like the only place where things don't look that exciting is RIM headquarters. The company announced this week that it is pretty deep in the red posting a quarterly loss of $125 million. More about these and other interesting stories that we posted over the week can be found below, so do not hesitate to check them out. AT&T's HTC One X being tested for May launch? I wonder why Rim never made a smooth transition. Werent they the first one with apps even before Apple? They should have sued them. LoL I cant remember if the Storm came before the iPhone. I know I had the first Omnia around the same time. Storm and Omnia came out in 2008/2009. It was about 1.5 years after the iPhone. Blackberry had apps, but they never had their own app store. Apple was the first to the game with an app store that they ran. Rim never adapted. They're running the same sw they had in 2006. Android had to redo their software to compete with Apple along with Palm and Windows. Apple shook up the whole industry and the rest are still playing catch up.